When Can a Court Use Its Discretion to Decline Foreclosure of Property Subject to an IRS Federal Tax Lien? the value of the property had declined so that the equity of the property was depleted by lienholder senior to the government. The seminal case on this point is U.S. v Rodgers, 461 U.S. 677, 710-11 (1983). 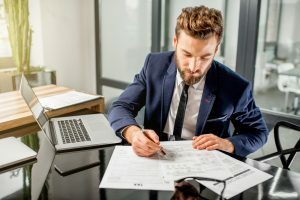 Rodgers held that the court could use discretion where necessary to protect the interest of a third party and listed factors to determine whether this limited discretion to not authorize the foreclosure should be used. Id. The Rodgers factors serve “to provide a framework under which it must justify a refusal to order a sale under § 7403.” U.S. v. Davenport, 106 F.3d 1333, 1338 (7th Cir. 1997). Even with respect to third parties, courts need not apply these factors before decreeing a sale under § 7403, consideration of these factors is “a matter of judicial grace.” Id. With respect to equitable discretion in favor of taxpayers themselves, the Supreme Court in Rodgers declined to provide them such discretionary protection, stating it could “think of virtually no circumstances… in which it would be permissible to refuse to authorize a sale simply to protect the interests of the delinquent taxpayer himself or herself.” Rodgers, 461 U.S. at 709. This holding is far from dicta, as the Supreme Court declined to engage in an analysis similar to the one it used for determining whether to exercise the limited discretion with respect to a third party where Joerene Ingram (whose similar case was consolidated with Rodgers’) was subject to a joint lien for $283.33, plus interest, as she was not a third party. Id. at 712. The different outcome for a third party versus a delinquent taxpayer is stark, as the Supreme Court indicated that the simple act of Ingram’s payment of the nominal amount of the joint liability would allow it to use the discretionary analysis. Id. Since the Supreme Court’s holding, in Rodgers, that the discretion to not authorize foreclosure is limited and to be used sparingly, taxpayers have routinely argued for the Rodgers holding to be used more expansively. See, e.g., Davenport, 106 F.3d 1338, n. 7. However, the Supreme Court Rodgers did not simply fail to consider justice as it may apply to a delinquent taxpayer because, in a footnote, it alluded that other options that do not amount to non-authorization of a foreclosure would suffice, including temporarily postponing a forced sale or making it subject to an upset price. In United States v. Moyer, for example, the District Court for the Northern District of California considered whether to stay its order of foreclosure, which was based on a stipulation by the parties, based upon the taxpayer’s showing that the value of the property had declined so that the equity of the property was depleted by lienholder senior to the government. United States v. Moyer, No. 07-00510, 2008 WL 3478063, 102 A.F.T.R. 2d RIA 5748 (N.D. Cal. Aug. 12, 2008). The Moyer case relied on the holding in U.S. v. Boyd, 426 F.2d 477, 481 (5th Cir. 1957), that a decree of foreclosure would not be appropriate if senior lienholders exhaust the equity. While it is important to note that Boyd is a pre-Rodgers case (Rodgers, on certiorari from two consolidated cases, overruled the 5th circuit’s more extensive use of discretion), and its holding would be limited to the extent it went beyond the limits of Rodgers, the Moyer case is easily reconciled with Rodgers. In the Moyer case, the district court merely stayed its order to foreclose, which is an acceptable exercise to protect the interest of the taxpayer per note 39 in Rodgers. Id. Daniel W. Layton, the author of this post, is a former IRS trial attorney and former Federal prosecutor who was tasked with handling criminal tax prosecutions and civil litigation including tax refund suits, lien enforcement and foreclosures. As a tax attorney in private practice in Newport Beach, he uses his knowledge of IRS procedures and rules to keep the IRS in check and protect his clients’ rights. He may be contacted at (949) 801-9829.